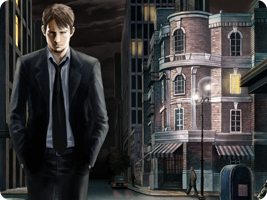 Developed by Cing, the Kyle Hyde series started with Hotel Dusk: Room 215, an adventure game where retired detective Kyle Hyde was drawn into a mystery surrounding a hotel tied to a former colleague's disappearance. The game was drawn in a sketched pencil art style, and was praised for its script. The sequel, Last Window, was released in Japan and Europe shortly before Cing filed for bankruptcy.